Two coats of JULEP Nail Color in Phoebe. Bright Turquoise Metallic. Why yes, that is another mermaid-inspired shade you see before you. JULEP is totally killing it with the mermaid shades as of late, amiright? Such a great summer color! Bummer that it stains; it's SUCH a nice color. It's a very bold color! Too bad it stains though. 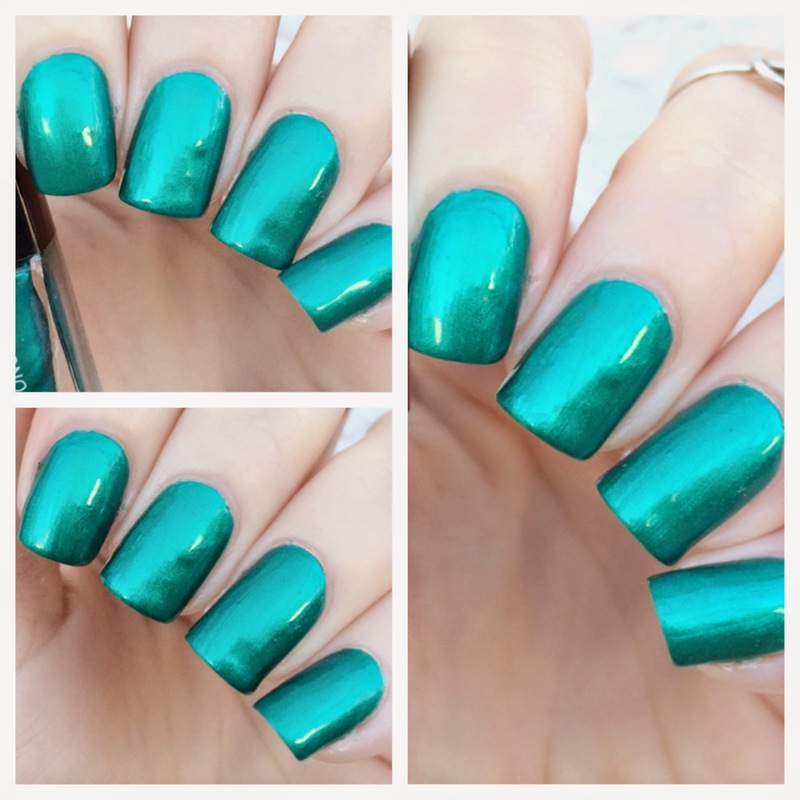 Such a perfect colour and it certainly is mermaid inspired.